Poker is the broad name for a family of card games that combines strategy, gambling, and skill. Each game is associated with gambling in the fact that the player with the best cards wins the bet. Poker has become one of the most popular games in the world and you will find many a number of variations played around the globe. Online poker has evolved into a multi-billion-dollar industry alongside online and mobile gaming technology. 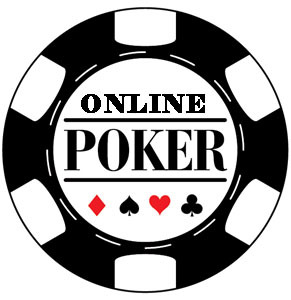 Players often enjoy online poker games due to their convenience and the rewards that online poker sites offer their players. This guide will look at online poker in the US and many facets of the game. Yes, there are only two states that specifically ban online poker gambling; Washington and Connecticut. Even those states have never prosecuted anyone for betting online, but technically it is illegal. State and federal gambling laws only apply to domestic online operations and not offshore poker sites that service the USA. Despite the federal laws that regulate online gambling in the USA, offshore poker houses are out of the United States jurisdiction and there is no specific legislation to outlaw offshore online gaming. Several US states have legalized state regulated online poker gambling entertainment, and anyone physically present in those states can legally access and enjoy the domestic poker sites operating there. Among the states already authorizing local online poker sites are New Jersey, Nevada, and Delaware. The sites listed below are the best in the business. Our team of industry professionals have scrutinized each site for reliability, trustworthiness, and entertainment value. Each of these sites hold the proper licenses to service the USA and have a great reputation among current and former players. Online USA Poker has been around for many years and as the game rose in popularity, new forms of the game began to emerge. Today you will find multiple variations that share common characteristics. Each version of the game has a history and while it is usually correlated to a specific area or place in time, these variations have become so well known that they are offered 24/7 at online poker sites. Texas Hold’Em is likely the most popular variation of poker that is played all over the world. When playing the game, each player is deal ttwo cards face down and three community cards known as the flop, 2 other community cards are additionally dealt after bets have been placed. The player with the overall best 5 cards wins the game. Texas Hold’Em is one of the most played online card games ever and many different strategies exist for the game. 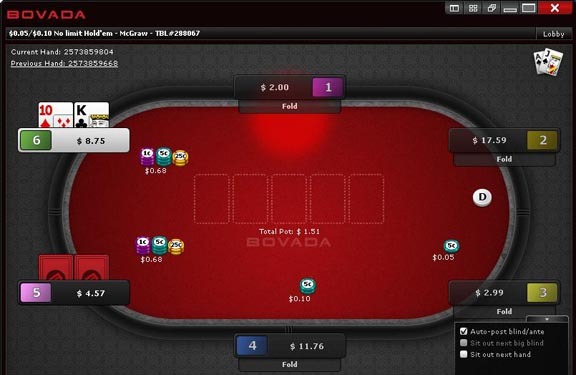 While that gameplay sounds very simplistic, the unique game structure requires the use of essential and basic poker skills, including understanding betting structure, and quickly calculating pot odds and the percentage chance you have to fill your hand. Stud poker is the oldest of the current poker games played online by US players and has origins all the way back to the wild west frontier days in America. Played in multiple formats, the most common version that has its roots in the U.S. is also known as 7 Card Stud. The end of each hand sees each player with 3 downcards and 4 face up, and betting takes place after each new card is delivered. Omaha poker is similar to Texas Hold’Em whereas players are dealt 4 cards and can only use 2 of their cards in conjunction with the community cards to produce the best possible hand. Players place bets based off the community cards that are drawn. Omaha is broken down into two different types of games, High-Low and High only. In Omaha High-Low the highest-ranking and the lowest ranking hands split the pot, and a player may “scoop” both sides for the perfect win. Omaha High only plays like most poker games, with the high hand taking the entire pot. As the least common of the US online poker games, but easily the most exciting and demanding, HORSE is actually an acronym. Each letter in HORSE stands for a different poker contest in which you must participate, and the choice of the game changes rapidly. HORSE stands for Limit Hold’em (H), Omaha H/L (O), Razz (R), 7 Card Stud (S), and Stud Eights or Better (E), and while most online poker rooms stick to playing this unique offering in tournament form, there are those few websites which support cash games of HORSE. HORSE is easily the best way to improve your all-aroundInternet and live poker skills. Since 2002, the game of HORSE has been played at theWorld Series of Poker. One of the perks of playing legal online poker in the US is the bonus offers that are available to account holders. New account holders should look for a lucrative Welcome bonus. A Welcome bonus is a form of a deposit match bonus where a new account holders deposit is matched by the poker site up to a certain percent. As an example, if there is a 50% welcome match and you deposit $100, you will get a total of $150 in your bankroll. There are other bonus offers to look out for including reload bonuses, referral bonus, free play bonus, and more depending on the site you play. Poker tournaments are one of the best ways to play poker and how many players test their skills against other players. Tournaments usually include a buy-in and then players must wager on every hand. The tournament winner is often compensated well above what they paid to play and sometimes there are even prizes for the second and third runner-up. Grand prizes are usually what attracts the seasoned players and with big payouts, comes stiff competition. Both online poker rooms and land-based poker rooms offer tournament opportunities. Along with numerous special promotions and prize packages, online poker tournaments also provide the opportunity to enter qualifiers that award seats to live events to the winners. For example, Chris Moneymaker, former WSOP champion won his seat at the WSOP through aqua life offered at an online poker site. He paid only $3 to buy in at the poker site and won a seat at one of the most prestigious poker tournaments in the world. While other players were paying thousands of dollars for a seat at the table, Moneymaker won his seat for next to nothing. Banking options should be one of the first things you look for before signing up to play an online poker site. The options listed below are what the sites we suggested on this page offer. Banking options tend to vary from site to site but these are some of the most convenient and common options available.